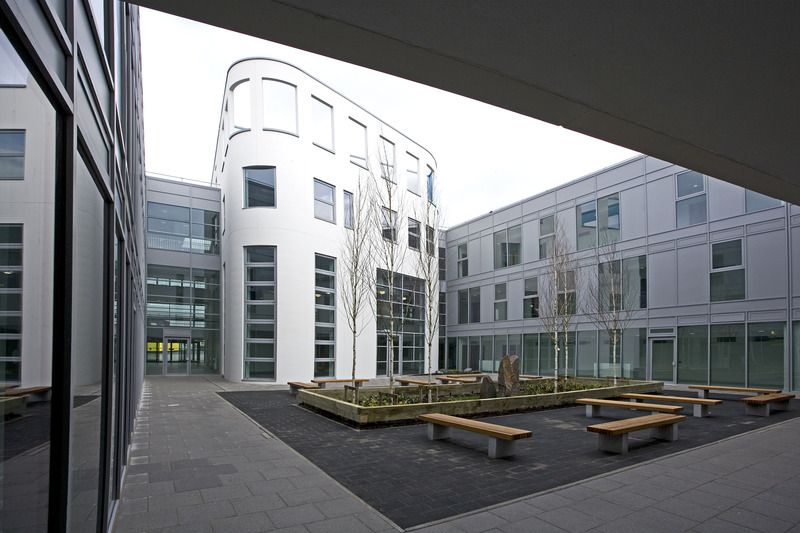 Project summary: Loxford School of Science and Technology is a new BREEAM Excellent building replacing an existing secondary school in the London Borough of Redbridge. Accommodation is arranged as two curving parallel buildings enclosing a series of central landscaped courtyards enclosed at either end by pods. These house the main assembly hall and refectory at one end and a library and learning resource centre at the other. The environmental approach of Loxford School, developed in close collaboration with Max Fordham, aimed for a naturally cross-ventilated building with simple controls. Classrooms along the teaching ?ribbons? have openable windows. Motorised vents to plenums above corridors exhaust to the courtyards and centrally located top-floor rooms have operable roofligths. Feedback from CO2 sensors installed in classrooms prompt users to open windows instead of relying on an automated Building Management System. Active chilled beam cooling is used in the high ICT density central blocks where it wasn?t possible to achieve natural ventilation. Radiators are connected to a closed loop ground source heat pump. The east and West facades are shaded by vertical external louvers to reduce overheating and cooling loads. The building is a flat slab construction with precast concrete panels finished with brick tiles. Single sided corridors face into an internal landscaped courtyard achieving excellent daylighting and visibility across all major circulation spaces.